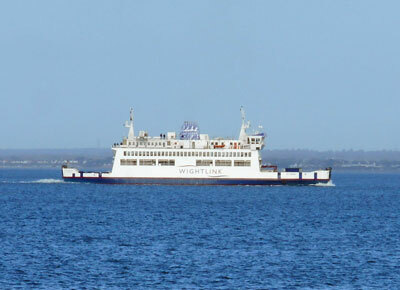 The St Faith Car Ferry was built in 1990 by Cochrane Shipbuilders and is operated by Wightlink on their Portsmouth/Fisbourne route. It can carry 142 cars, 772 passengers and 12 lorries. Unlike some more modern vessels, the bridge looks out towards the bow; other vessels have a central bridge which means those vessels can be operated in either direction.